Welcome to the Morning Glory Teahouse! 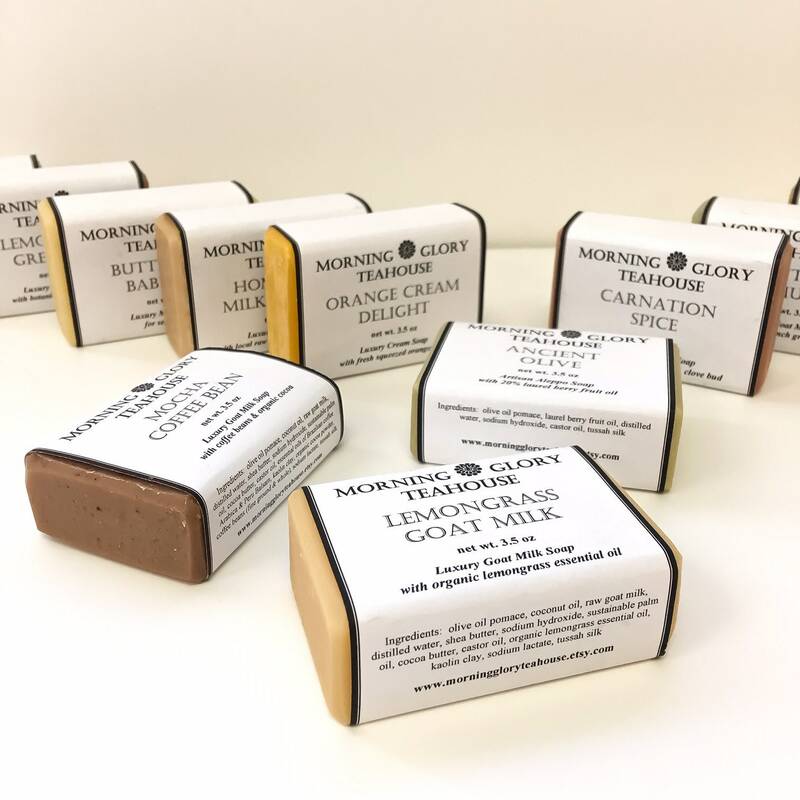 Our handcrafted soaps are made with all natural, wholesome ingredients. 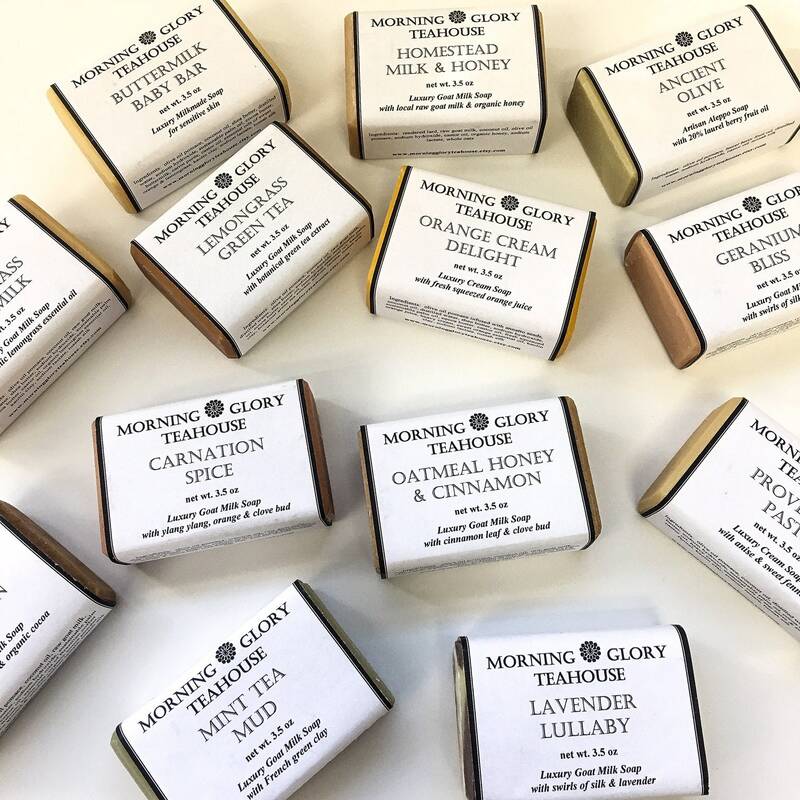 High quality oils that produce a gentle soap (olive, coconut, sustainable palm, castor) and conditioning butters (shea & cocoa), herbal infusions, luxurious silk fibers, pure plant essential oils, botanical additives, and natural colorants. 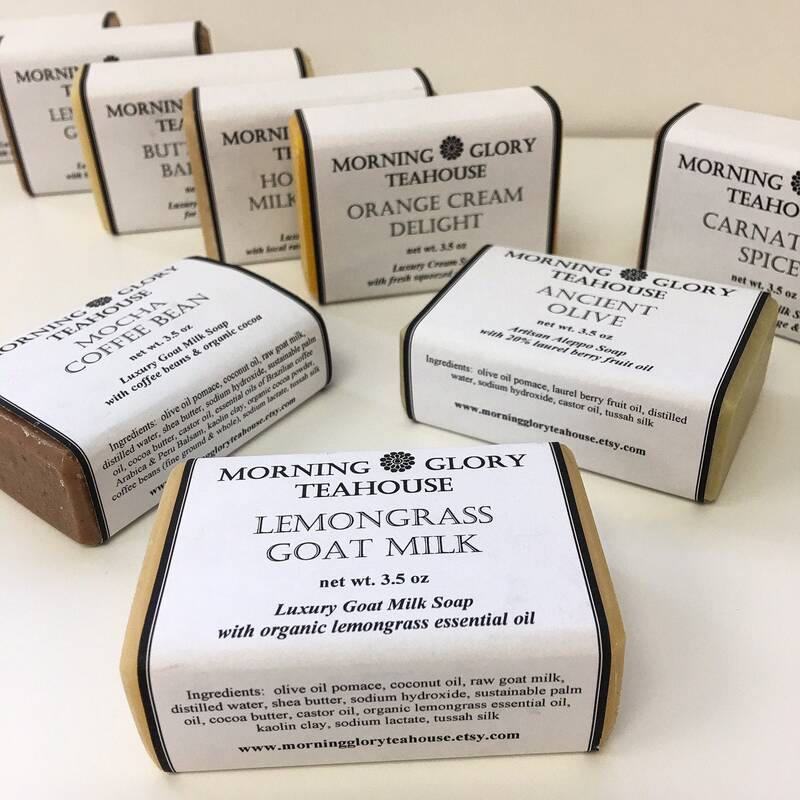 We offer wholesome milk soap (goat milk, cow milk, or coconut milk), cream soap, aloe soap, non-milk soap, and soap with no scent added. No artificial ingredients are used in our soap making process - this includes synthetic fragrances. Please refer to the list below to see which soaps are currently in stock. 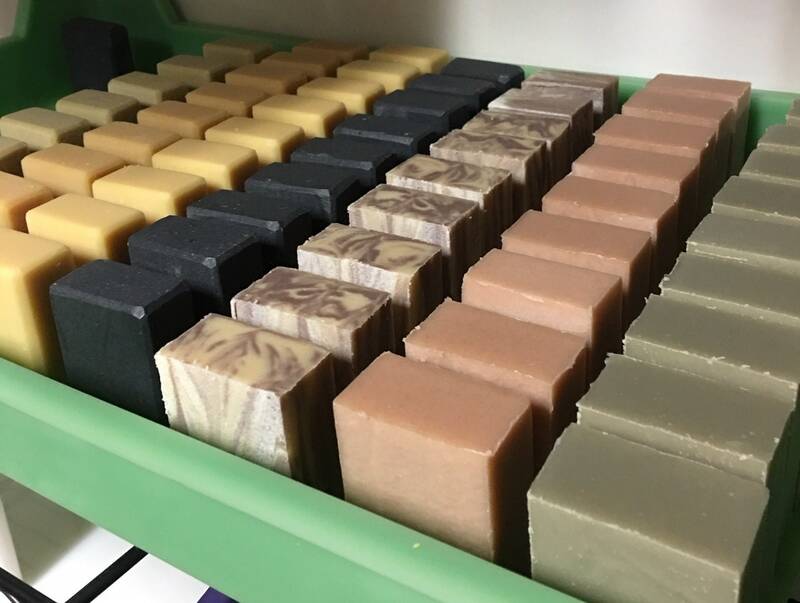 Our soap inventory is replenished often. Feel free to contact us with any questions or special requests! Thank you for your business. Great for an exfoliating & antibacterial treatment for your feet. Has the feel of a polishing stone. Contains Dead Sea salt, sand, pumice, and essential oils of Peppermint, organic Tea Tree & Blue Gum Eucalyptus.